For other uses, see Methylene (disambiguation). "Methylidene" redirects here. For the moieties, see Methylene bridge and Methylene group. 2]). It is a colourless gas that fluoresces in the mid-infrared range, and only persists in dilution, or as an adduct. Methylene is the simplest carbene. :p.7 It is usually detected only at very low pressures, very low temperatures, or as a short-lived intermediate in chemical reactions. The trivial name carbene is the preferred IUPAC name. The systematic names methylidene and dihydridocarbon, valid IUPAC names, are constructed according to the substitutive and additive nomenclatures, respectively. 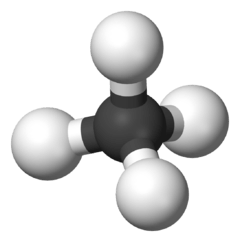 Methylidene is viewed as methane with two hydrogen atoms removed. By default, this name pays no regard to the radicality of the methylene. Although in a context where the radicality is considered, it can also name the non-radical excited state, whereas the radical ground state with two unpaired electrons is named methanediyl. 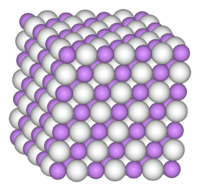 The compound was first detected and studied around 1960, by infrared spectroscopy in frozen gas matrix isolation experiments. The first suggested use of methylene was by D. Duck in 1944. 2-I). The decomposition can be effected by photolysis, photosensistized reagents (such as benzophenone), or thermal decomposition. Many of methylene's electronic states lie relatively close to each other, giving rise to varying degrees of radical chemistry. The ground state is a triplet radical with two unpaired electrons (X̃3B1), and the first excited state is a singlet non-radical (ã1A1). With the singlet non-radical only 38 kJ above the ground state, a sample of methylene exists as a mixture of electronic states even at room temperature, giving rise to complex reactions. For example, reactions of the triplet radical with non-radical species generally involves abstraction, whereas reactions of the singlet non-radical not only involves abstraction, but also insertion or addition. The singlet state is also more sterospecific than the triplet. Unsolvated methylene will spontaneously autopolymerise to form various excited oligomers, the simplest of which, is the excited form of the alkene ethylene. The excited oligomers, decompose rather than decay to a ground state. For example, the excited form of ethylene decomposes to acetylene and atomic hydrogen. Unsolvated, excited methylene will form stable ground state oligomers. The ground state of methylene has an ionisation energy of 10.396 eV. It has a bent configuration, with H-C-H angle of 133.84 °, and is thus paramagnetic. (The correct prediction of this angle was an early success of ab initio quantum chemistry.) However conversion to a linear configuration requires only 5.5 kcal/mol. This state has a slightly higher energy (by about 9 kcal/mol) than the triplet state, and its H-C-H angle is smaller, about 102°. In dilute mixtures with an inert gas, the two states will convert to each other until reaching an equilibrium.
. Oxidation of these complexes yields formaldehyde, and reduction yields methane. Free methylene undergoes the typical chemical reactions of a carbene. Addition reactions are very fast and exothermic. When the methylene molecule is in its state of lowest energy, the unpaired valence electrons are in separate atomic orbitals with independent spins, a configuration known as triplet state. 5Na with trimethylammonium bromide. The ion is bent too, with a H-C-H angle of about 103°. Methylene can bond as a terminal ligand, which is called methylidene, or as a bridging ligand, which is called methanediyl. 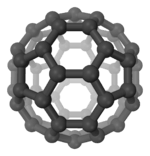 1 2 "methanediyl (CHEBI:29357)". Chemical Entities of Biological Interest. UK: European Bioinformatics Institute. 14 January 2009. IUPAC Names. Retrieved 2 January 2012. ↑ Gaspar, Peter P.; Hammond, George S. (1964). "Chapter 12: The Spin States of Carbenes". In Kirmse, Wolfgang. Carbene Chemistry. 1. New York: Academic Press. pp. 235–274. OCLC 543711. Among experiments which have not, to our knowledge, been carried out as yet is one of a most intriguing nature suggested in the literature of no less than 19 years ago (91).